MILLER AGRICULTURAL RECRUITING, INC. recruits agronomists and other qualified candidates within the Agronomy and Crop Production industry. Check back often for newly listed agronomy jobs & careers. REGIONAL AGRONOMIST ( BH 3007 ) Aggressive coop searching for an experienced agronomist responsible for fertilizer, chemical and seed sales. Candidates must have solid sales track record, excellent people/communication skills, strong agronomic technical knowledge, good relationship building skills and be self driven. Excellent compensation/benefit package. IA location. AGRONOMY SALES ( BH 3004 ) Leading coop searching for agronomy sales/location manger. Responsible for territory development, agronomy sales, personnel supervision, operations, and inventory control. Candidates must have excellent sales skills, strong people/communication skills, be a self starter and strong team player. Excellent compensation/benefit package. SW Iowa location. LOCATION MANAGER (BH 3001) Progressive coop searching for experienced location managers. Responsible for location operations as well as direct/indirect sales activities. Company has more than one position available. Candidates should have successful supervisory experience, operational background as well as sales skills, strong organization abilities, strong work ethic and able to multi-task. Excellent compensation/benefit package. NE Nebraska location. AGRONOMY SALES (BH 3000) SW Iowa coop searching for Agronomy sales person. Will consider recent grad willing to learn. Will be responsible for direct sales of all agronomy related products. Candidates should have college degree, strong work ethic, strong people/communication skills and be team player. Excellent compensation/benefit package. SW Iowa location. 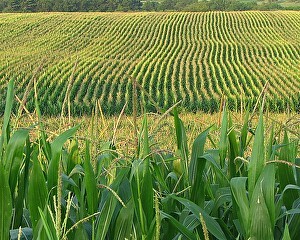 AGRONOMY SALES (ML 505) Regional agronomy company searching for experienced agronomy salesperson. Responsible for maintaining current customer base, territory development, sales growth and technical support. Candidates must have proven track record, excellent relationship building skills, agronomic technical knowledge, desire to succeed and be self directed. Excellent compensation/benefit package. Northern IL and Southern WI locations. APPLICATOR (ML 504) Regional agronomy company searching for experienced applicator. Responsible for application of fertilizers/chemicals, machine maintenance, operational accuracy of application. Candidates must have strong work ethic, detail oriented, solid understanding of fertilizer/chemical products and have pride in their work. Competitive compensation/benefit package. Northern IL and Southern WI locations. DISTRICT SALES MANAGER ( ML 500) Liquid fertilizer company searching for Regional Sales Managers. Responsible for customer support, territory development and profitable sales growth. Candidates must be self motivated, have excellent people/communication skills, solid sales abilities, team player and open to travel. Excellent compensation/benefit package. TX, MN, MT and WA locations. BRANCH FERTILIZER MANAGER (RM 1822 ) National agronomy/chemical company searching for experienced fertilizer manager for one of their locations. Responsible for supervising and coordinating all sales/operational activities of fertilizer department, inventory control, training/development of sales staff and purchasing of product. Candidate should have strong leadership skills, solid agronomic technical skills, fertilizer operations and self starter. Excellent compensation/benefit package. SC location. AGRONOMY SALES MANAGER ( RM 1821 ) Aggressive Cooperative System searching for experienced Agronomy Sales Manager. Responsible for directing the sales/ marketing function, leading/training sales team, pricing, territory/product development and department profitability. Candidates must have proven track record of sales management, strong personnel development skills, sales leadership, CCA, and strong leadership abilities. Excellent compensation/benefit package. Western MN location. REGIONAL TRIALS AGRONOMIST ( RM 1817 ) International company searching for a regional agronomist to assist in monitoring commercial and technical trials. Responsible for identifying trials and research facilities, assist in new trial establishment, ensure good experimental practice, monitor and collect data and report to R & D. Candidates should have extensive agronomic technical skills, field trial experience with acceptable research protocol. Excellent opportunity. Midwest location. SALES AGRONOMIST ( RM 1783 ) GPS soil sampling company looking for experienced Sales Agronomist. Responsible for managing existing accounts, territory development, agronomic support and customer service. Candidates should have agronomy degree with excellent track record in territory development, strong work ethic, excellent customer relationship building skills, self driven personality and passion for agronomic agriculture. Excellent compensation/benefit package. Northwest Iowa location. TECHNICAL SALES REP (RM 996) – Leading niche seed research equipment company looking for a technical sales rep. Responsible for territory development and growth, develop custom products, work with Engineering Department to meet unique needs of the customer. Candidate must have 2+ years experience with capital equipment sales, strong relationship building skills, strong work ethic, a team player, and the ability to develop territory profitability. Excellent compensation and benefit package. Iowa location. AGRONOMY AREA MANAGER: (RM 994) Aggressive Coop looking for experienced Area Manager. Responsible for supervising, developing and providing leadership to assigned product sales team and location managers , assisting with the development and implementation of marketing plans, generating profitability and product growth. Candidates should have exceptional skills in supervision, leading and developing sales teams with innovative marketing plans. Excellent compensation and benefit program. Iowa location. company looking for a sales account manager. Candidate must have excellent sales track record, strong agronomic and seed background, ability to sell specific capital equipment, strong relationship building skills along with strong sales management abilities. Responsible for coordinating with sales team, developing plans to achieve sales growth, develop and implement marketing plans, promotional materials, and providing leadership for the sales team. Travel primarily in the Midwest with limited international travel. Excellent compensation and benefit package. Iowa location. looking for experienced agronomy sales personnel. Candidate must have excellent people and communication skills, team player, self-motivated, strong problem solving skills with excellent leadership abilities. Responsible for increasing awareness of innovative agronomic products, implementing marketing and pricing programs, building relationships with new clients and developing territory profitability. Several locations including Wisconsin, Kansas, Ohio, Mississippi, and Minnesota. Competitive compensation and benefit package. LOCATION MANAGER (RM 976) Progressive coop looking for experienced location manager. Candidate should have experience in agronomy, grain and feed. Would supervise 3 outside and 1 inside person and be responsible for budgeting, business plan, inventory, inside sales and total operation of location. Candidate should have 2 years successful experience in managing a full service facility, excellent personnel development and leadership skills and the ability to operate a profitable location. Excellent compensation and benefit package. Iowa location. AGRONOMY DEPARTMENT MANAGER (RM 964) Aggressive coop looking for experienced Agronomy Dept. Manager. Responsible for P & L, personnel management, day/day operations of facilities, purchasing/pricing and sales growth. Candidate must have 3-7 years experience, strong sales management skills, strong work ethic, excellent relationship building skills with the ability to assume a leadership role in developing a winning team. Excellent compensation/benefit package. Sough Dakota location. AGRONOMY SALES ( RM 927 ) Aggressive Coop looking for experienced Agronomy Sales person. Responsible for sales of fertilizer, seed and chemicals in an established territory with great growth potential. Candidate mush have GPS experience along with strong sales growth track record, team spirit, strong relationship building skills and willing to contribute to a winning team. Excellent compensation ad benefit package. Iowa location. AREA MANAGER ( RM 923 ) Leading Ag coop looking for experienced location /area manager. Responsible for plant safety and environmental requirements, all aspects of in/out grain and conditioning, all agronomy operations/logistics, budgeting repair/maintenance needs and all plant personnel management. Excellent compensation and benefits package. Missouri location.